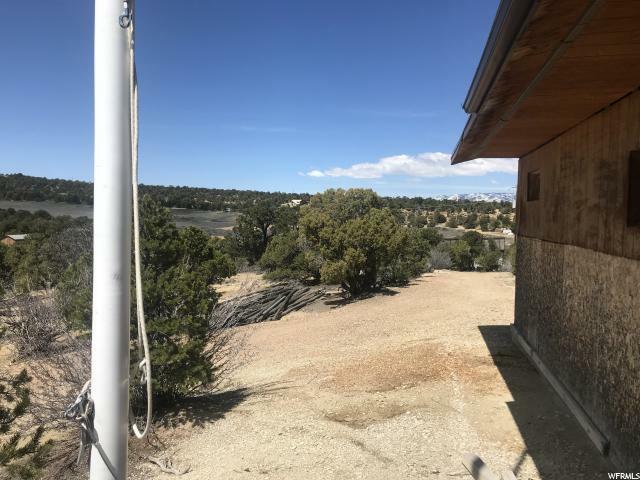 All Fruitland homes currently listed for sale in Fruitland as of 04/25/2019 are shown below. You can change the search criteria at any time by pressing the 'Change Search' button below. If you have any questions or you would like more information about any Fruitland homes for sale or other Fruitland real estate, please contact us and one of our knowledgeable Fruitland REALTORS® would be pleased to assist you. 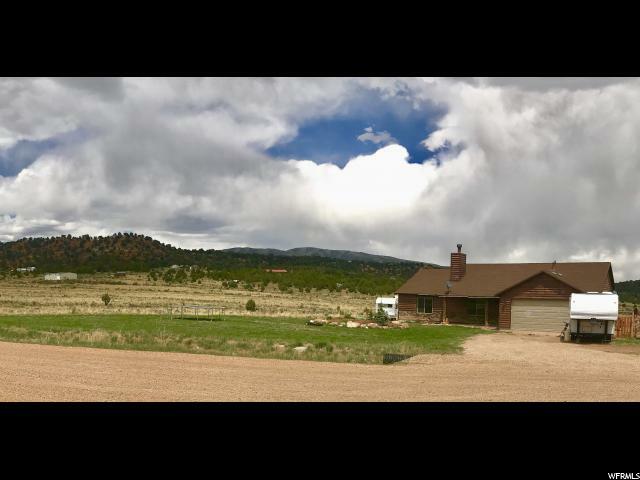 "We are please to offer 40 acre's tucked away quietly in Fuitland, just outside of Stawberry reservoir. This property comes with three (3) beautiful homes and five (5) newly built cabins and two (2) shower houses. With 3/4 mile of Current creek running through the property floating the river or taking advantage of the water slides already in place is fun for all ages. Competitive family? Well maybe its time to start your annual baseball tournament and take advantage of the baseball field included. The property includes 12 Currant creek water shares. Plenty of land and pastures for live stock as well. This could be used as a primary resident or a vacation home. Call today to discuss financing and set up a showing. Square footage figures are provided as a courtesy estimate only and were obtained from County records. Buyer is advised to obtain an independent measurement." "This is a dream cabin built with the finest materials with no expense spared! Stunning great room with granite countertops in the kitchen. Detached garage was built in 2009, Cabin itself was completed in 2015. The lumber was shipped in from North Carolina. So well-built and finished that maintenance is a breeze. You have to see this place. Secluded location with landscape cleared and ready for enjoyment. For hunters or for the family there really is no better place. 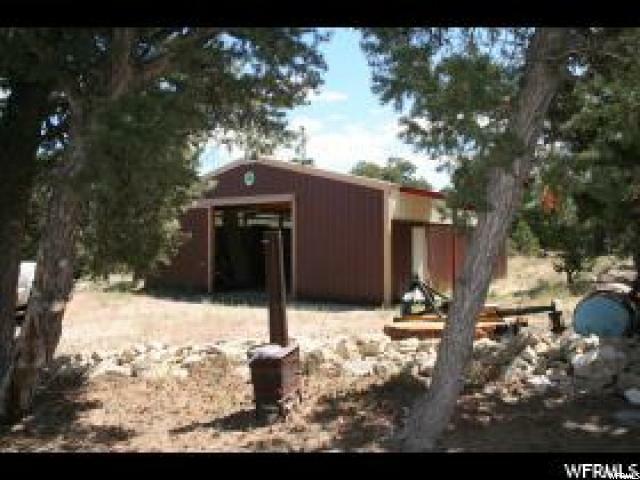 Close to Strawberry reservoir and great hunting right out your back door. The crawl space is unique at 5 feet height providing so much extra storage and access to everything under the home. You won't find that in any other home. If your looking for a cabin look no further this is your new place!" 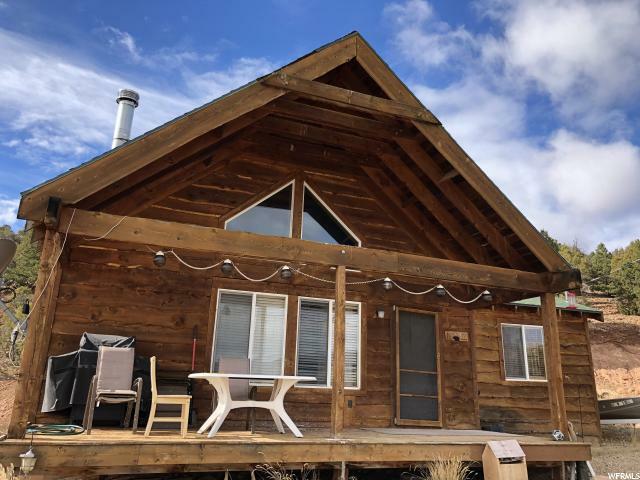 "** GORGEOUS CABIN WITH YEAR ROUND ACCESS ON 5+ ACRES AND INCREDIBLE VIEWS ** About 3700 total sq ft. 4 bedrooms, 3 baths, plus loft, and mother in law apartment in basement. Incredible kitchen with stainless steel appliances and granite countertops. Vaulted ceilings in the great room. Over 1900 sq ft of covered decks with 360 degree wrap around views. 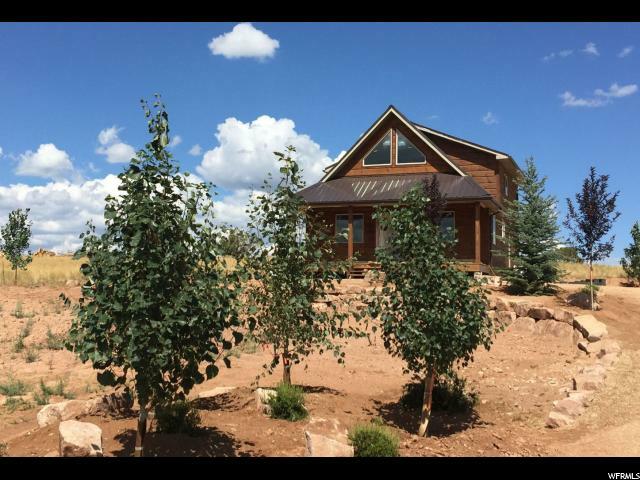 Home sits about 6700 feet above sea level, with cooler summers, and some snow in the winter. Access is year round, county plows the road. 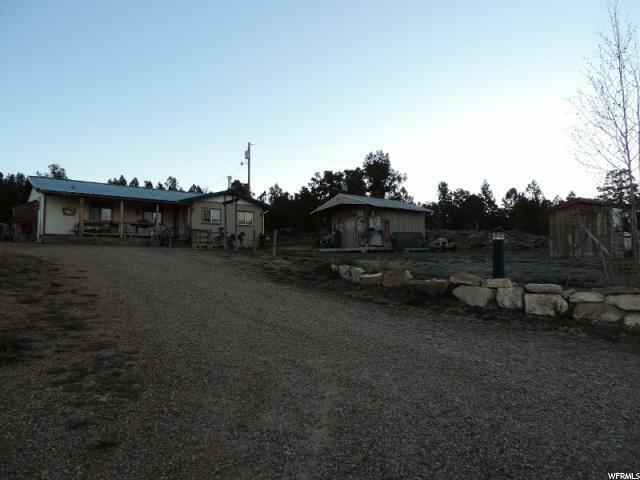 Overlooking Currant Creek, and only 9 minutes from Soldier Creek and Strawberry Reservoir. Connected to power and culinary water. Whole house is electric, no need for gas. Internet connectivity is available. 2 car garage. 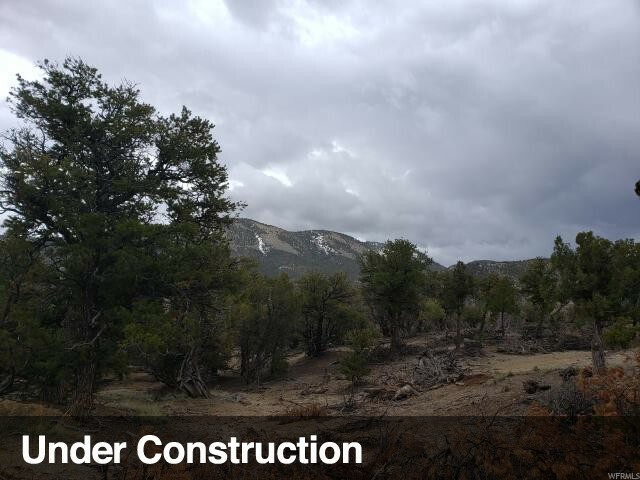 Access to miles and miles of trail systems, hunting, fishing, snowmobiling, etc. 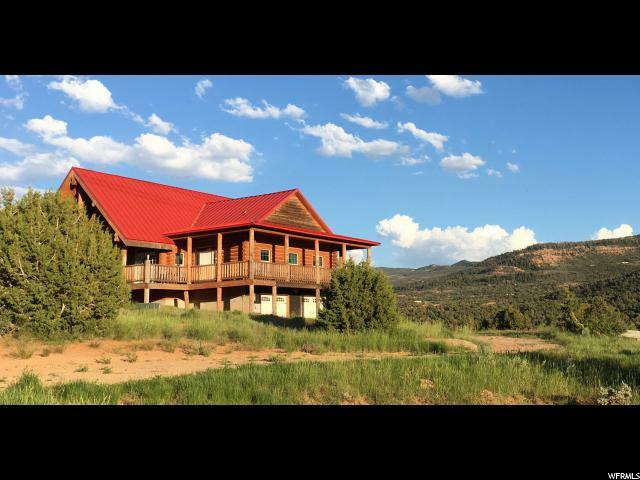 3700 sf log home with 1,947 sf covered deck (360-degree wrap-around) + 2-car garage on 5.28 acres, 6,700 ft. above sea-level, overlooking Current Creek in Fruitland UT. 9 minutes from Strawberry Reservoir. Year-round access - county plows to driveway. Underground utilities including culinary water." "New custom cabin, refined rustic! Extraordinary metal trim features, leather and tacks. Bedroom and bath on each level. Loft/game room upstairs. Downsizing, just starting, need a summer home where temps are cooler? Year-round access off county road and 1/2 mile North of Hwy 40. Location is perfect for setting out for an afternoon of exploring, or fishing on Strawberry River or Reservoir or Starvation. This is a must see!" "Wonderful floor plan, spacious, plenty of sunlight. 3 bedrooms, 2 bath & den. Master suite is very roomy with his/her closets, double door entrance to the bathroom. Jetted tub and separate shower. Kitchen is made for an active cook - whether baking, or just preparing meals and lunches. Plenty of counter-space, plenty of cupboards. 10 acres, partially fenced. Horses, chickens and any other marauders you have a fancy for are welcome. All utilities: septic, power and water well. Easy year-round access from Hwy 40. 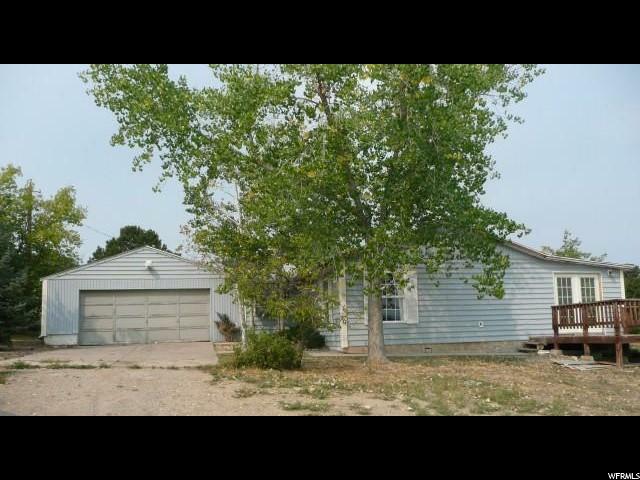 Large 2-car detached garage." "Nestled between Strawberry & Starvation Reservoirs sits a Mtn. home which offers reprieve & antidote for stress relief & quiet Mtn. Solitude. This home sits on 5 acrs. of Quiet Country Living, Year round access, 2154 sq. ft. home, built in 1997 ,this home features 6 bdrms, 2 baths, Master bath has sep. tub & shower. Step down sunroom with dining room, 1 car GA & workshop, Barn 26'6X20'5 Square footage figures are provided as a courtesy estimate only and were obtained from seller . Buyer is advised to obtain an independent measurement." "$25,000 PRICE REDUCTION!! This is a unique opportunity to own a private Fly-in/Fly-out Four season Retreat at Thunder Ridge Residential Airpark! 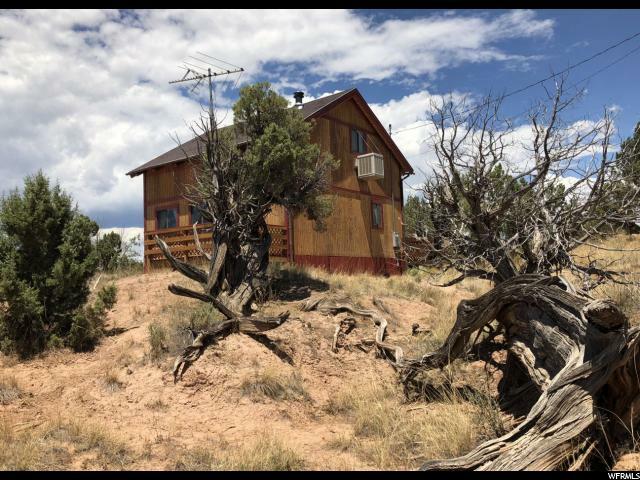 Come home to your peaceful log home retreat on 5 Acres located 20 minutes from Strawberry Reservoir or 20 minutes to Starvation to the east. Enjoy the serenity of the mountains and valley meadows with beautiful sunsets and the sunrise while relaxing on the back deck, front porch, or stay inside by the light of the fire with all beauty of a winter night in the comfort of your living room. This is a home ready for you to live in year round or enjoy as a getaway with plenty of activities like fishing, boating, horseback riding or just hiking and enjoying the fresh country air. Feel the tension of the day melt away as you drive home and feel a world away . Easy to Show! Make an appointment today! " 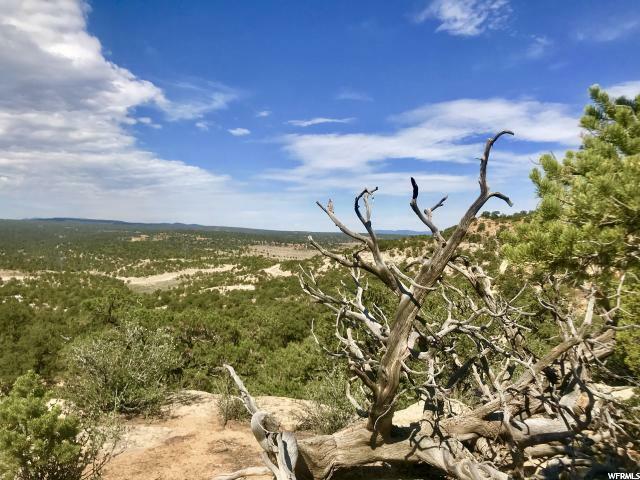 "Awesome 24 acre Rec Property just 80-min East of Salt Lake City 1/2 mile south from Hwy 40 between Strawberry reservoir and Starvation reservoir! This is Lot #39=6.12 acres; sales price also includes Lot #38=7.75 acres (See MLS #1570061); and 10 acres behind both lots (See MLS #1570062) TOTAL: 23.87acres that share common boarders! This lot includes one 6 well, anchored 12'x70' mobile hm w/power/water/330 gal propane tank, 30'x40'garage/shop/shed w/110 and 220 power! 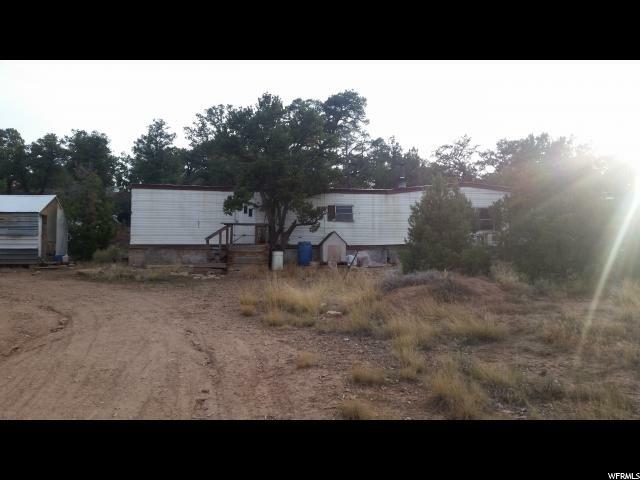 SELLER WILL CONSIDER ANY REASONABLE OFFER for all 3 lots together or possibly separate!" "Quaint and Cozy! One bath, two large bedrooms (upstairs) with space and room for friends and guests. Will comfortably sleep 16. Plenty of sunshine, open kitchen through to living room. Small enough for intimate conversations, or large enough for a cooking party. Great 'sipping' areas on either deck or around the fire pit, with beautiful views and tons of elbow room. One bunk house (12 x 12) and shed (16 x 12) for workshop or toy storage. Enough flat space for baseball diamond, badminton or croquet. 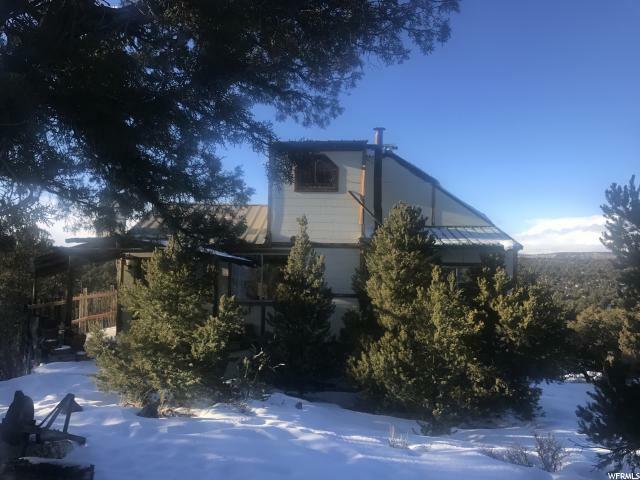 Year round access on paved county road, access to trails, jeep trails or road for ATV or UTV exploring.."
"5 Acres of Quiet Country Living Nestled among the pinions and pines ,Year round access, 1212 sq. ft. home. Built in 1999 this home features 2 bedrooms office could be used as a bedroom. 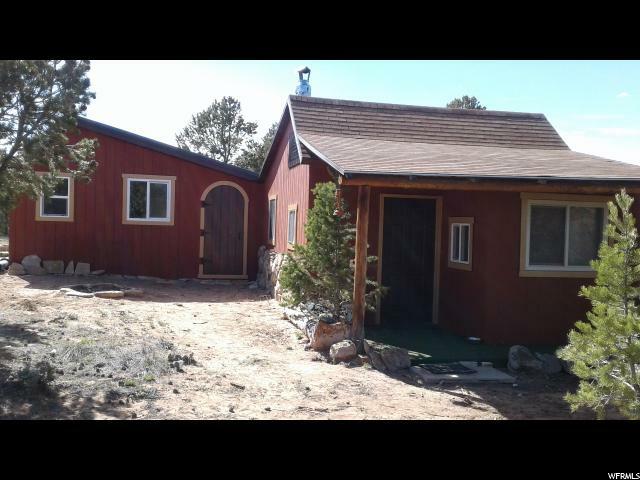 2 baths, Vaulted ceilings, wood burning stove. Great Location, "
"Looking for a family retreat! 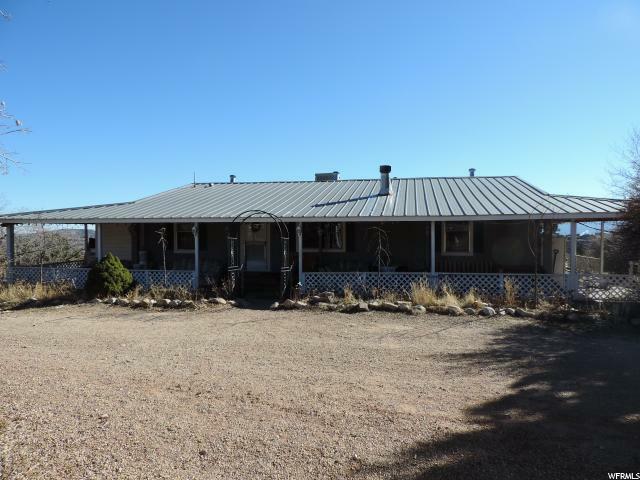 This property features two cabins and 2 garages. Lots of trees! Comes fully furnished and ready for you to enjoy. Connected to power and both cabins have cistern water systems. This is a one of a kind must see property. " "Happy Cabin! Arguably one of the best Bandanna Ranch's cabins. An open unobstructed view from Tabby Mountain. The adjoining Tabby Mountain game preserve to the East and to the South all the way to Fruitland and the South Mountain areas. This cabin lies at the end of a maintained dead end road. In the summer you'll appreciated the lack of traffic and dust. Cabin is furnished! All info courtesy only. Buyer to verify all info. Also included with sell are 4 wheelers and a boat! " "Secluded Off Grid Cabin! Located on 20 acres just west of Starvation Reservoir. Great for a weekend getaway or living off grid. The property has a beautiful terraced view of the valley. Very private and quiet. The cabin is a one bed studio. With an large bathroom, Nice outhouse on site. Several out buildings included. Seller financing available with 1/2 down." "Owner has never occupied the property. Home is currently rented, please do not disturb the tenant. Perfect for a seasonal cabin or year around living, located just off HWY 40. 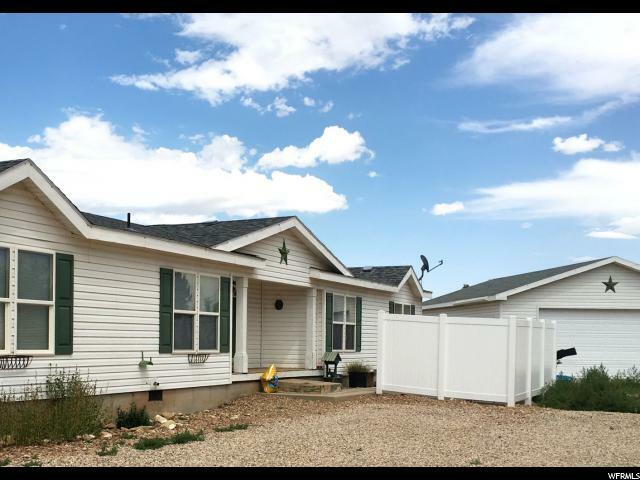 Cute 2 bdrm 2 bath home has a newer roof, large 2 car garage, and 15 short miles from Duchesne. Very cozy home in a private location. Home is on a Cistern System, so you will have to haul water from Duchesne. Buyer to verify all information. " "This beautiful 10.13 acres is located close to Hwy 40 for easy all year around access. The property has a Phoenix 5th wheel camper. There is also a 1,340 sq foot garage and shed. Power is on the property and a small propane tank. The status of the well is unknown but was functioning a while ago. The concrete septic tank was damaged and will be repaired by the seller." "True outdoor enjoyment! Own your own piece of recreational paradise! 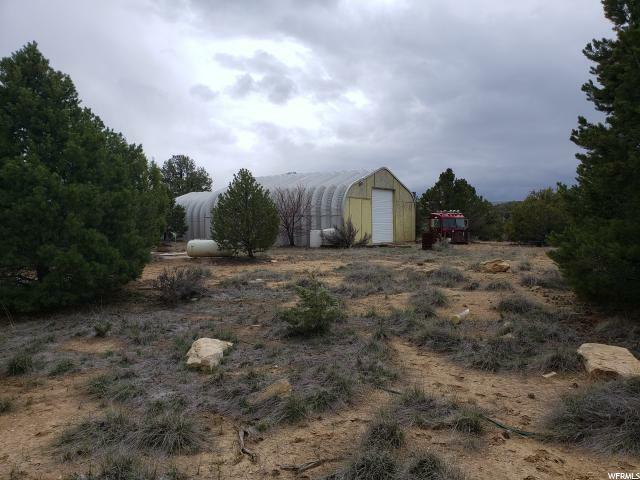 This 14.62 acre property with Junipers and pines is located 14 miles from Duchesne, near Starvation State Park, Current Creek and close to Strawberry Reservoir. Enjoy ATV trails, hiking, hunting, wildlife, fishing, boating and more. Fully-skirted furnished mobile home in excellent condition, clean and comfortable with brand new water heater, huge new 6'X44' deck, 12'x16' work shed with concrete floor, water tank and two additional trailers. 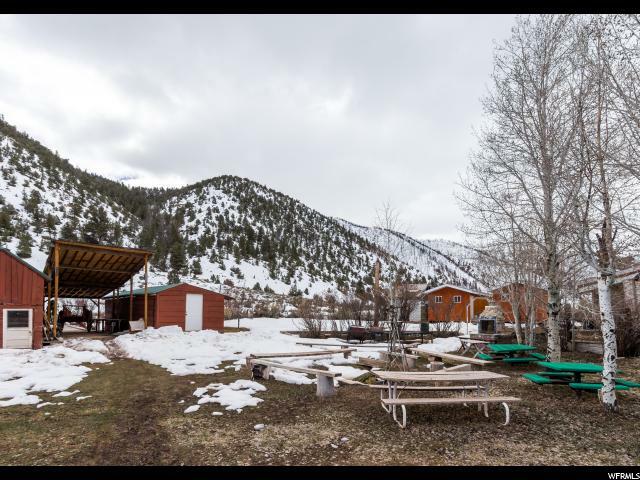 Incredible views, great fire pit area, picnic table. Adventure awaits! " "Fruitland! Perfect for recreation or year 'round living! 3 bedroom 2 bath plus attached garage! Covered deck for viewing your 5 acres, The Uintahs, and The Wasatch! Miles of 4-wheeler adventures. Near the National Forest Trailheads, 5 lakes, 2 rivers, and many, many streams through the trees! Not far off highway 40. Enjoy the peace of the wilderness! This one is an older single wide that has been built onto. It will probably not qualify for a loan. It has city water plus a well. Gas wall heaters plus a woodstove. " "This property has a great secluded feel. It is located at the end of a dirt road so not much traffic. The views are amazing. The A Frame home is about 75% completed and has been built to last. It has 2x6 framing, insulated and electrical work done. There is no septic system installed but a composting toilet or incinerating toilet could solve this dilemma. This a great wooded 10 acre lot with lots of dirt roads for ATV's. This is cash only and no trades or seller financing being offer. Proof of funds is requested before showing." 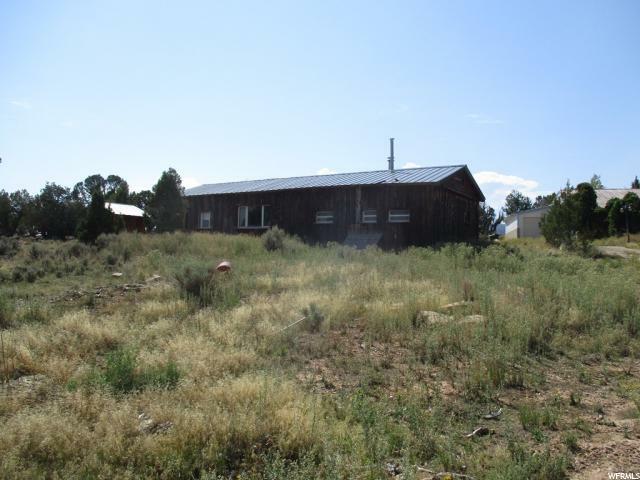 "This property has year around access, power, and septic system. A water cistern would be needed to provide water or a well could be drilled. The lot has great trees, hills and flat ground. There are a couple campers, sheds and two single wide trailers. The single wide trailer by Hwy is project, the single wide trailer on hill is in good condition." 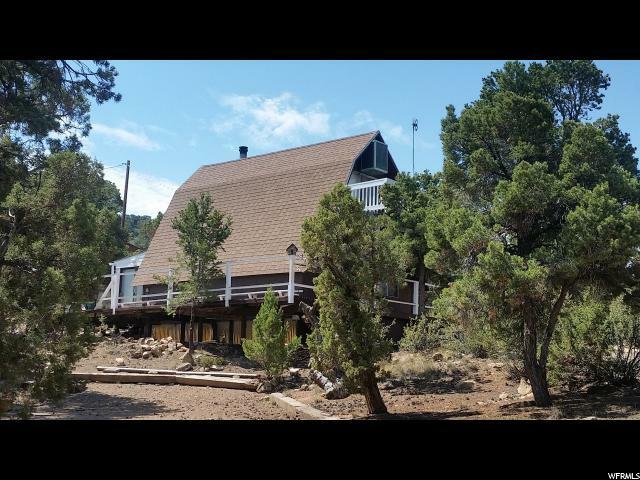 "Nestled in the tall pinion pines and junipers for great privacy, this owner built cabin is extremely interesting, however it will not meet code for financing. There is 2 storage sheds, and the cabin was set up with a solar system, however the condition is unknown. This property is being sold strictly as is, where is. " "This is a cabin that was built from 2 trailer houses with siding and a roof built over the trailers. The county shows it at 1086 sqft and built in 1968. It has a septic tank and electricity. There are water well permits available, however the previous owner hauled their own water. It's about 6 miles to the water source. 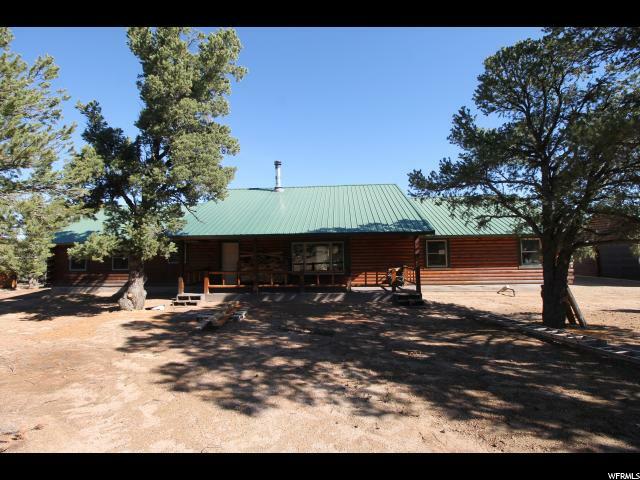 The property is located in the pinion pines and junipers, with a great view. Located about 10 minutes from Starvation Reservoir and about an hour and 45 minutes from Salt Lake City."